We always think about how to improve the support and that’s why almost everyone in the support team is a blogger. In the past it was quite difficult to find the latest blog posts by all the team members because everybody was blogging indepently and besides the blog section on the directsmile website there was no location where to get updates from. That’s why we aggregated the latest news of all the different blogs, added other usefull links, into one RSS feed. 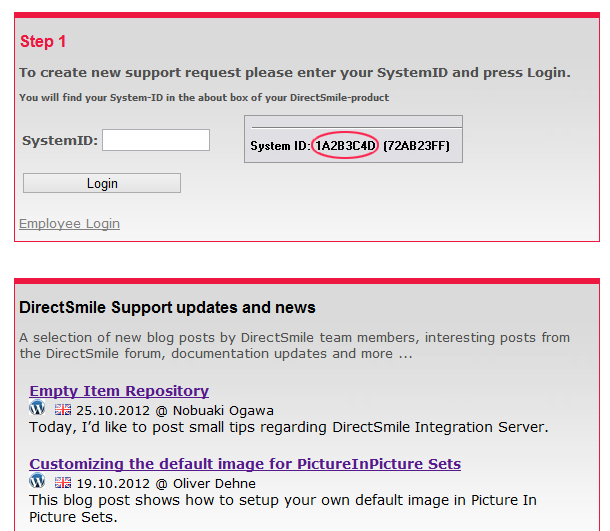 This feed is consumed by the DirectSmile Support Center and shown on the login page. Now, you can can always find the latest information in the right place. If you like to read the updated using your own RSS feed reader just subscribe to the feed from this link. This is the third post of a series of blog posts about new Data Relations feature in DirectSmile Cross Media. In the last two posts I described how to create a Data Relation programmatically and showed how to test the Data Relation using the Data Relation Test Environment. 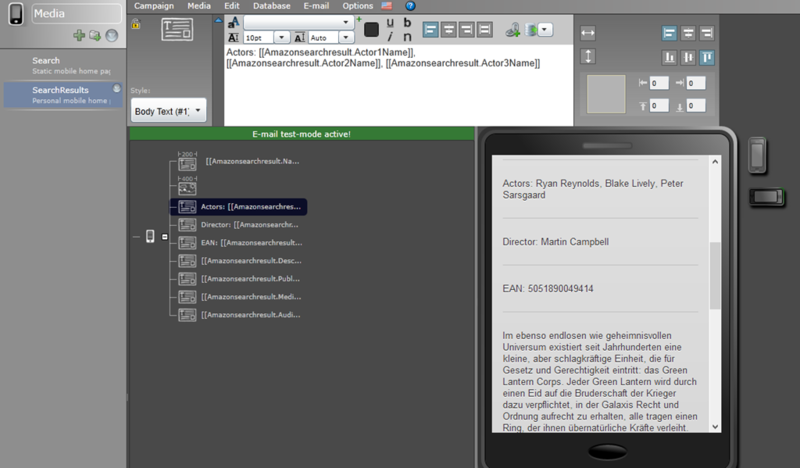 In this post I will show how to create a mobile PURL website that consumes the Data Relation to let us search for movies in the Amazon store. The sample campaign will contain of two mobile pages. 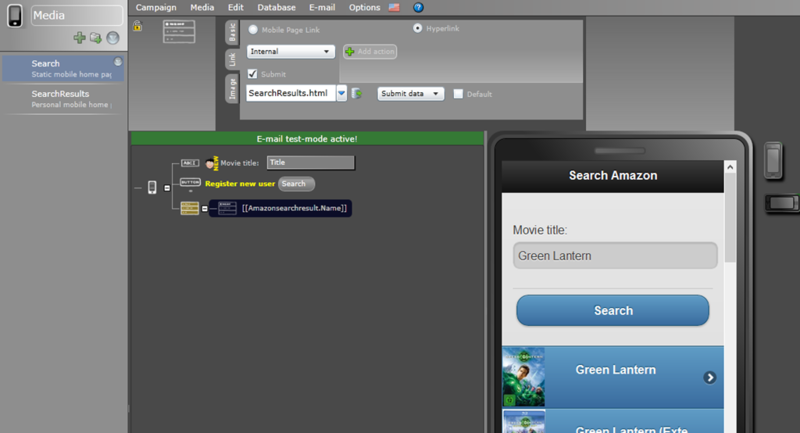 The first page provides a search field for a title and a list of movies. If we select one of the movies from the list we will be redirected to page that shows the details of the movie, like the synopsis and the cast. First I open the Designer and select Create new campaign. I call the campaign MovieSearch and start with the default database. Later on I’ll drop that and replace it with a tiny database that suites better my needs. 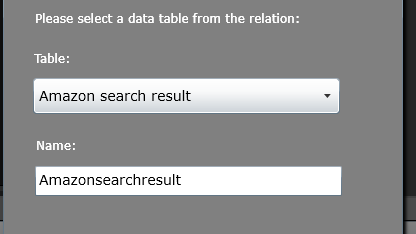 In the following dialog I select a Static mobile page and name it Search. Now I replace the default database with a short, but more meaningful, database. 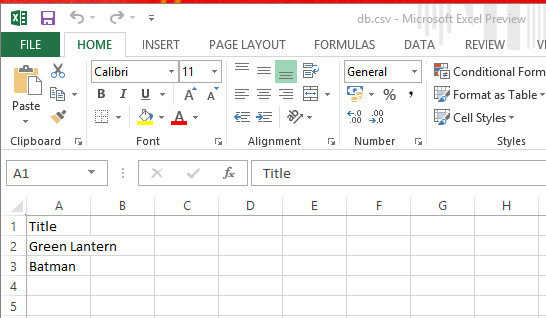 I’m using a CSV file I created with Microsoft Excel. That “database” contains a single table with a single column called title, and some movie titles to play with. After replacing the database we can add our Data Relation. 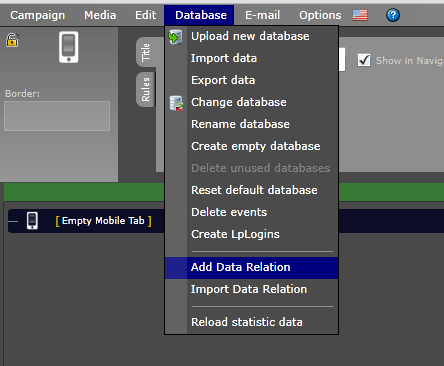 To add a Data Relation I select Add Data Relation from the Database menu. 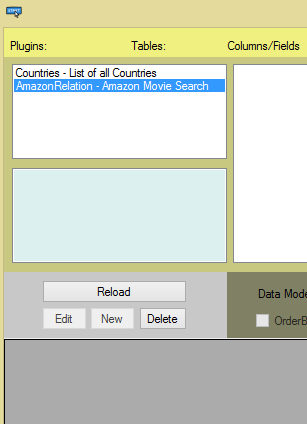 Then I select the Amazon Movie Search Data Relation from a list of available Data Relations. Because of the plugin structure this list can contain more or less different Data Relations by the way. 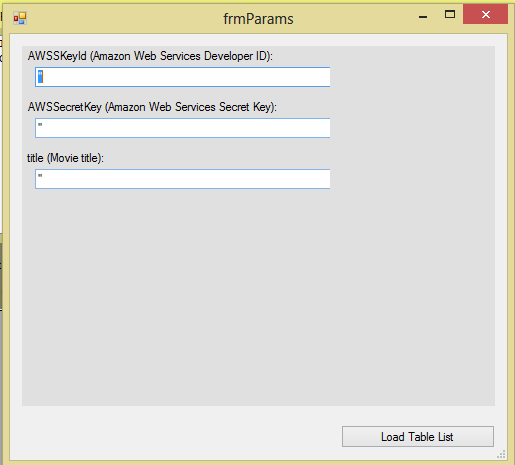 After I have selected to Data Relation I will be asked to provide the values for the preassigned parameters, in our case the Amazon Developer credentials and a default value for the search title. Finally I can change the name of Data Relation or the table where to store the Data Relation in, but there is no need to change this and close the wizard. Now, that the Data Relation is assigned, my Designer window looks like this. In the bottom of the Designer window you can find the Data Relation, showing already some results, because we predefined the title parameter with the search title Green Lantern. First I need a text box to enter movie titles. 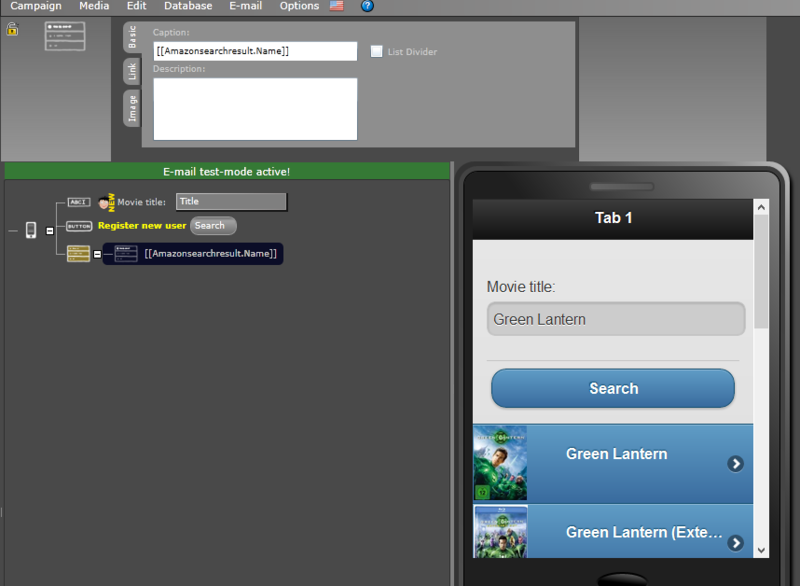 I set the caption to Movie Title and assign the value of the text box to [[Title]] database field. Next I add a button that does the search, in other words it will query the Data Relation with the search term typed into the search text box. Interesting here is, that we don’t want to leave this mobile page when we hit the button, but we want to show a list of search results instead. We do that by utilizing the Register new User function and link to the same page again. Finally we add a data list control and select of Data Relation as data source. Now we need to add a second page, this time a personalized mobile page, to show the details of the selected movie. I call this second page SearchResults. Now that we have our details page, we can go back to the Search page and customize the link property of the data list item. I configure the link to be internal, check the submit button and select Submit Data to ensure that the data of the selected movie is transfer to the second page, which also select to SearchResult.html. That filter takes the value of the Title field if it’s not empty or it takes “Batman” if the Title field value is empty. 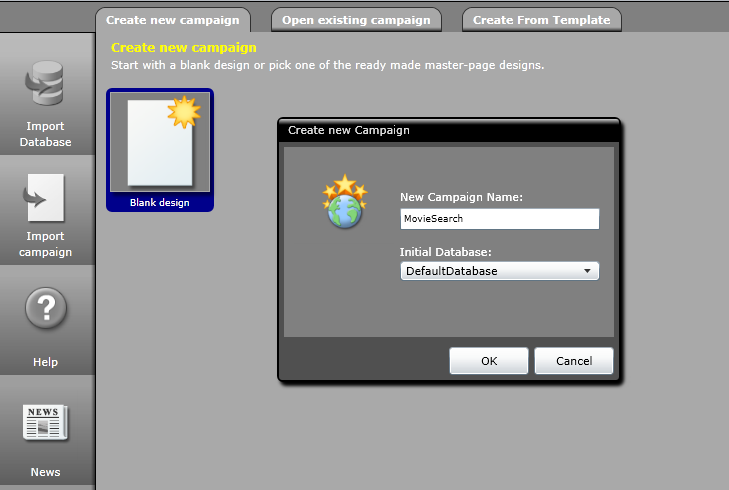 Previewing the campaign is easily done by clicking the world icon in the uppor right corner of the designer. If your browser does not open a new window, please check if your browser is blocking pop-up windows and allow pop-ups for this Designer’s domain. Hey, that looks good so far. 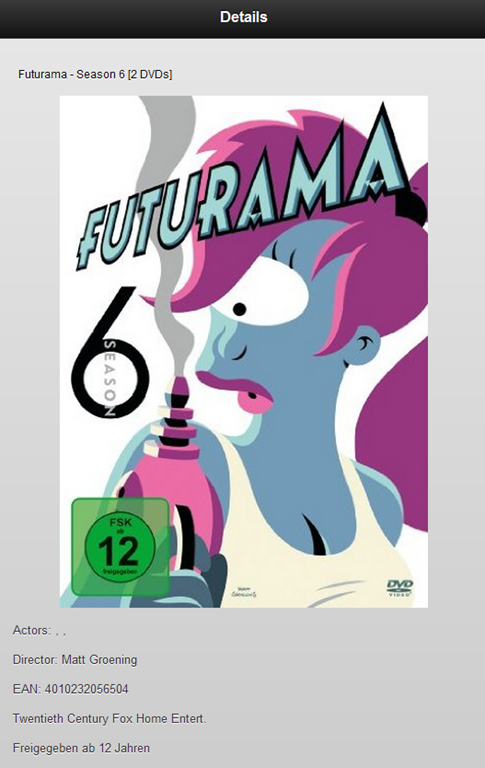 We can type in a title and search Amazon for a list of Futurama movies. And if we click on one of the list items the SearchResults page is called and shows the movie details. I hope this is helpful to get started with DirectSmile Cross Media Data Relations. 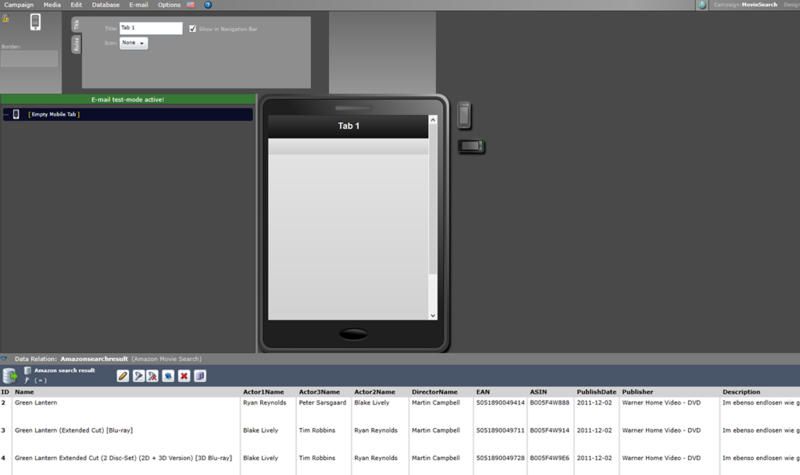 As you can see the text field does not contain a valid URL and the default image, built into the application, is taken. 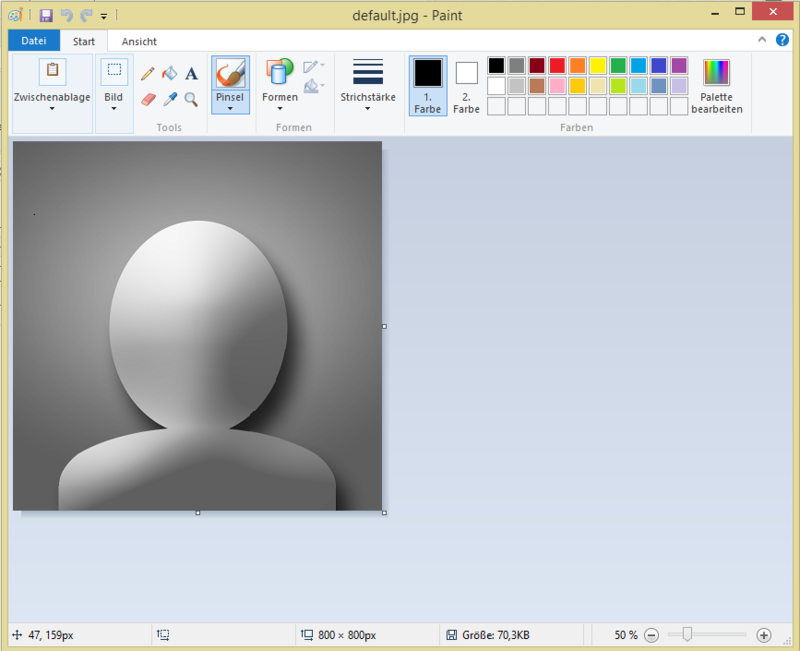 The default image can easily be customized by placing a JPG file in the DirectSmile Set directory. Let’s take the following image. It is important to name the image default.jpg, otherwise the VDP Studio won’t find the image. 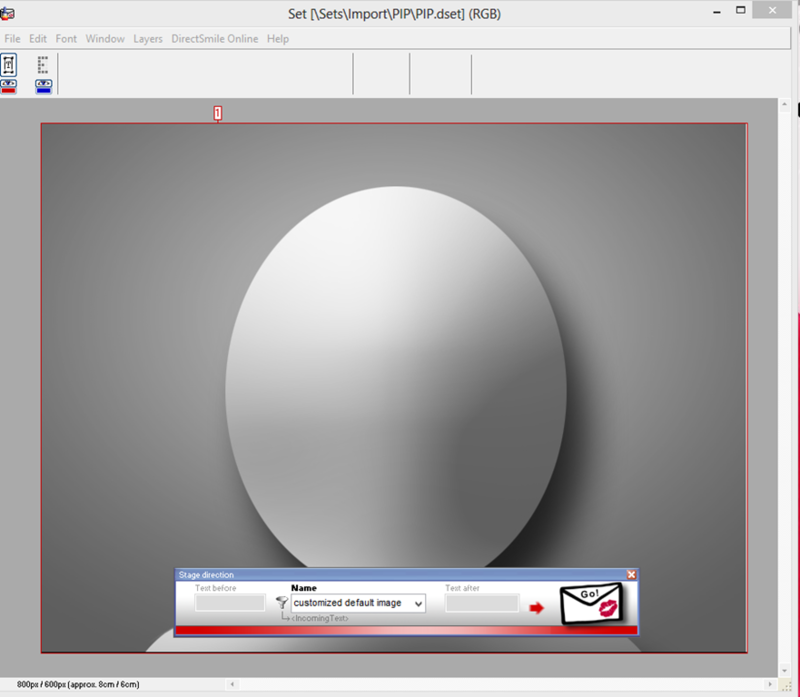 The VDP Studio recognizes the file and automatically replaces the default image by the customized image. Two years ago I wrote a I blogged about our newborn child Paul, now it’s time to let you know about the birth of our second son Emil. Paul is very happy and kind of proud about his new situation as the big brother. Claudia and I are just happy having two kids now. Although Emil looks almost like Paul, they are both different in characters, what is exciting to see. Last time I added a beautiful picture to Paul’s post, but this time I am proud to share this excellent portrait of our little family with you. 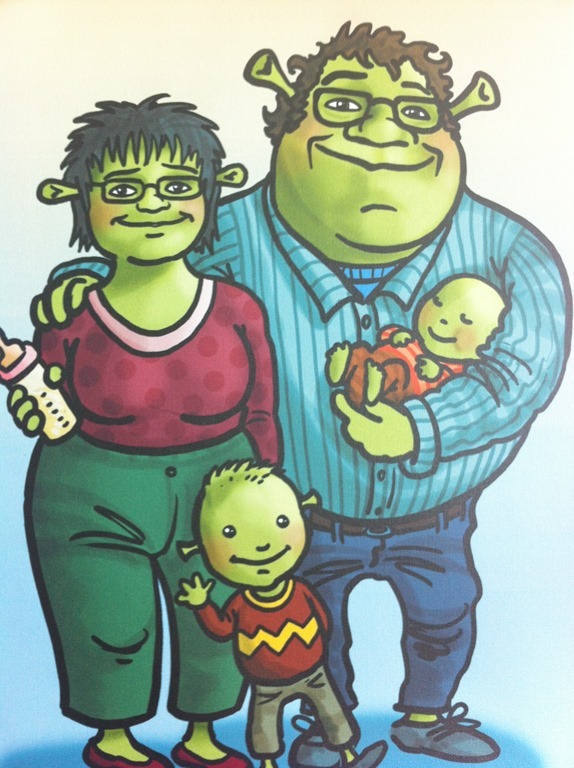 The picture is a present by Silja, Christoph and Christoph and I think it fits perfectly to our style and humor. Thanks again to all of you! This is the second post of a series of blog posts about new Data Relations feature in DirectSmile Cross Media. This help web site contains a download link for the documentatation and a full featured sample Data Relation project for Microsoft Visual Studio. It also provides a sample database needed for the data relation. You can also download the Data Relations Test Environment from this web site. The Test Environment is a windows application to test your data relation and data source indepently from the DSMX Designer, what is quite handy while the development process. The Test Environment comes with a ClickOnce installation executable. Please run the setup.exe file to install the application. The application starts automatically after the installation is finished. Important is to check the default location for the DLL-Plugin-Path (i.e. the path where you need to place your Data Relation plugin assembly). Typically the folder is located in a subfolder of the AppData directory. Just drop your Data Relation dll into the folder and restart the Test Environment. Your Data Relation should now be visible in the Data Relations list. 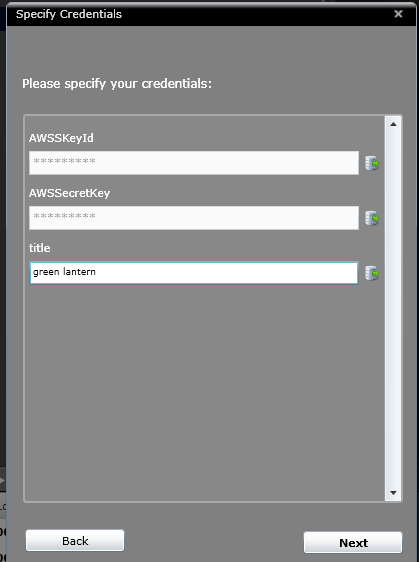 All you need to do now is to select your Data Relation and type in the developer credentials needed for our Amazon web service sample. TIP: You can create a text file that contains default values for your parameters. This file must be named like the Data Relation and located in the same folder and the file extension must be *.txt. This is very helpful while debugging, because the parameters are not persisted in the application. 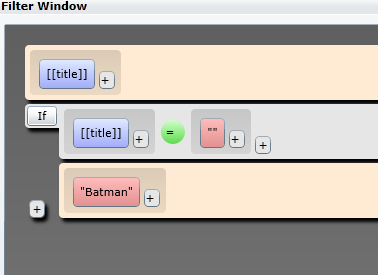 Names and values are seperated by a colon and each Key/Value pair is finalized by a semicolon.